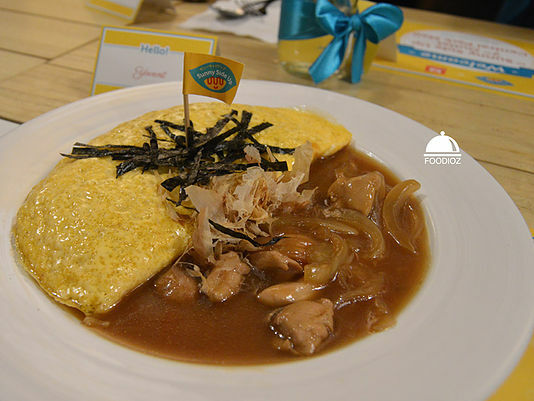 It is omelette covering the katsubushi rice with chicken slices cooked in the sour spicy sauce. I can tell, egg is good, i ordered well-cooked which is nice texture and color. But the rice taste bit dry, under seasoning, chicken cutlet is good texture but sauce is too sour. Not much spicy i describe for this one. 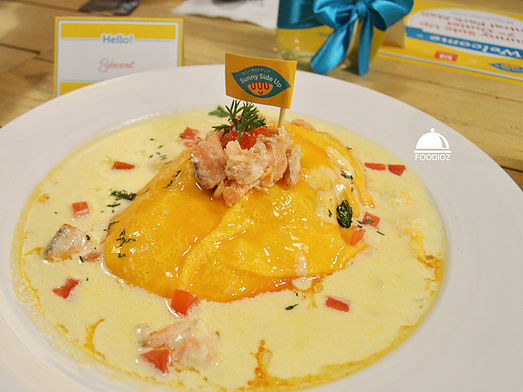 The i am having taste of Creamy Salmon. It sure have beautiful plating, bright cream color with half cooked egg such delicate. But what it looks doesn't mean good taste. Cream is too plain, rice is dry as well, but salmon is acceptable and egg is beautifully cooked too. 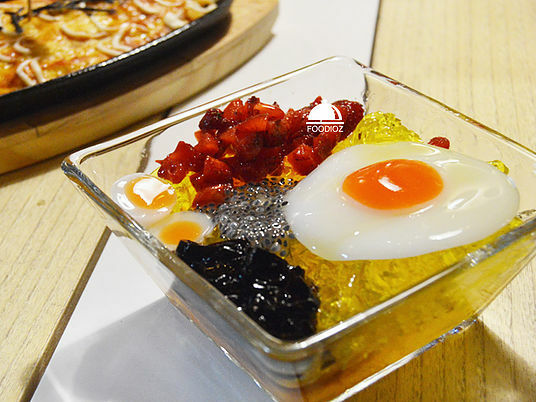 But at least they have great dessert, Mee Ramen Jelly. It is beautiful, isn't it..? it also have delightful taste and bites, made with lovely pudding, jelly, grass jelly and strawberry.